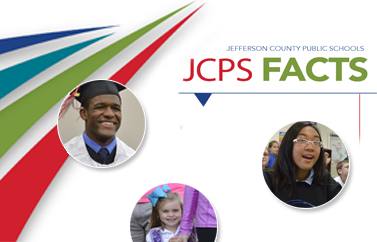 The Community Schools Program has been operating in the JCPS District since 1997, but the concept is ages old. A Community School is a public school building that is open after the regular school day and offers programming for the entire family. Today, we have eight district schools that have made the commitment to their communities to keep their doors open as an invitation to community members. All eight schools offer a variety of educational and recreational activities for all ages, Monday through Friday year-round. During the school year, all sites are open from the end of the school day until 9 p.m. During the summer months, each site offers a special programming during daytime hours for families, and some even offer full-day camp opportunities. Each Community School’s programming schedule reflects the unique wants and needs of the community surrounding it. The goal of the program is to provide programs that are in direct response to requests of community members. Community Schools are designed to provide intergenerational, educational, social, cultural, and recreational activities for empowering students and families to maximize their potential. As well as working with community residents, each program focuses on working with community agencies and organizations to enhance the programming provided. Every Community School Program site is unique, much like the communities they serve. Thanks to the many partnerships with such organizations as Louisville Metro Parks, Salvation Army Boys and Girls Club, JCPS Adult and Continuing Education, Maryhurst, and Walden Theater, every Community School can meet the needs of its particular community. A variety of recreational and educational programs, such as aerobics, family reading nights, cheerleading, arts and crafts for children and adults, Boy and Girl Scouts, Adult Basic Education classes, and adult leisure classes are available at each site. Most activities are free, though a few charge a minimal fee to cover the cost of supplies. Since each program strives to meet the needs of the community it serves, each school has an advisory board to help guide planning. Each board consists of school staff, citizens who live and/or work in the area, and students. New board members are always welcome! Citizens of all ages are invited to check out the offerings at the Community School near them. Every Community School site has a coordinator who makes connections with the community, organizes programs, and maintains the calendar of events for his or her site. We encourage you to contact the Community School of your choice to find out how you and your family can participate in the many community school programs. Become a tutor, such as an Every 1 Reads tutor. Invite the Community School coordinator to come speak to your group or organization.